The holidays are over and it’s time to get healthy in 2014. One great way to cleanse from the end-of-the year indulgences? Juice. According to Dr. Oz, juicing is an easy way to add nutrients to your diet. 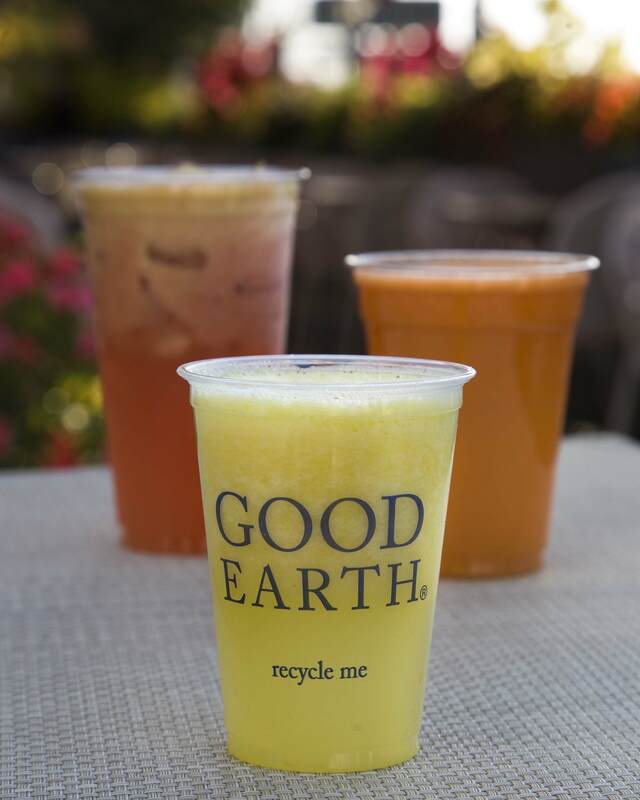 The Good Earth offers a huge selection of juices in the restaurant and to-go at the deli. You can order off the menu or ask for a juice of your own design (they’re used to accommodating specific cleanse requirements). Looks like it’s witches brew, but tastes like refreshing lemonade. This delightful green juice packs the vitamins of kale and spinach into a delightfully slightly sweet drink. You might want to order the most popular juice without ice, at least in the middle of winter. The deep vibrant reddish color of this concoction indicates all of the vitamins in it. Beet juice is especially good for your liver and might give you some added energy throughout the day. The quickest way to get the benefits from this powerful antioxidant. A sweet and delicious way to get your vitamin A and more. Starting to get the sniffles? This classic vitamin C cocktail will help bolster your immune system. And it is delicious.